You’ve finally decided to restore your missing teeth, and you want to do it in such a way that you’ll never have to think about them again. 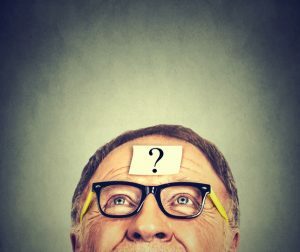 You keep reading about how dental implants are the most comprehensive and long-lasting solution available, but you still have so many questions. Dr. Jeff Lee, your implant dentist in Cambridge, completely understands this. Today, he is going to take a little time to answer the most common questions about getting dental implants. Dental implants come in three parts: a titanium post, a porcelain crown, and an abutment. The titanium post is what makes dental implants special. They are able to replace the root of your lost tooth, unlike any other restorative procedure. Not only does it securely hold your tooth in place, but it also assures the long term health of your mouth by stimulating blood flow to your gums and jaw. Dental implants are then usually topped with a porcelain crown. We use this ceramic material because it looks natural and is incredibly strong. It seamlessly blends into your smile while giving you a tooth you can rely on day to day. These two parts are then held together by a metal connector, called an abutment, which looks similarly to a screw. 2. What Can Dental Implants Fix? Dental implants are used to replace missing teeth, and can do so in multiple ways. They can replace a single tooth, anchor a fixed-bridge, or even support a set of dentures. The dental implant procedure involves two main phases: placement and restoration. For the placement phase, Dr. Lee will use a series of digital scans and x-rays to create a model of your mouth to form a treatment plan. This will enable him to know exactly how to position your implants. After giving you local anesthetic, he will make a small incision in your gums and drill the implants into your jaw. You will be completely numbed to any physical discomfort, though you may feel a little pressure while this happens. You will then be given 2-3 months to heal, as well as allow the root to bond to your jaw. Titanium is bio-compatible, meaning that it is able to naturally fuse with the surrounding bone. The second phase is when your dentist will restore the implant using either a single crown, a bridge, or a dental prosthetic (such as dentures). 4. How Will It Feel? You may have some redness and irritation right after surgery, but it can easily be managed with over-the-counter medication. You’ll have very little sensation in the dental implant itself after it has been restored. 5. How Are They Maintained? One of the biggest advantages dental implants have is that they do not require a special routine for maintenance. You just need to brush and floss like normal. As long as you have healthy gum tissue around the implant, they will be fine. 6. How Long Do They Last? With proper care, dental implants can last up to 30 years or more. 7. How Do I Find The Right Dentist To Get Them? If you type “implant dentist near me” into a search engine, you will get a seemingly endless list of results. The key thing to look for is someone who has had special training to place implants, years of experience, and a good working relationship with a local general dentist. 8. Are They Right For Me? All you need for dental implants is a healthy amount of jawbone to support them. You’ll start the process by visiting Dr. Lee, and he’ll be able to determine if you are a good candidate for them. If you do not have enough healthy bone, he may suggest that you get a bone graft, which he can also take care of for you. Hopefully this gave you some of the answers you were looking for. We’re confident that if you choose to get dental implants with us, you’ll be getting the most high-quality care available. If you have any other questions about dental implants and how they can help your smile, please call us today.